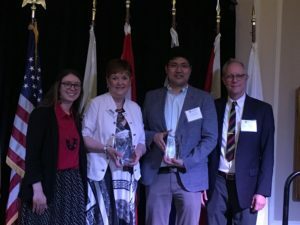 CHAMPAIGN, IL, May 30, 2018 – The International Trade Center of the Illinois Small Business Development Center at Champaign County EDC proudly accepted the Export Awareness and Development Award at the 2018 Governor’s Export Awards, held at the Union League Club of Chicago on May 24th. The Governor’s Export Awards are Illinois’ highest recognition of export achievement, honoring Illinois companies that have achieved excellence in exporting, as well as organizations that provide export assistance. The International Trade Center is dedicated to providing resources, advising, and training to existing and new-to-export manufacturing companies in Central and East Central Illinois. By developing and expanding their international trade, it helps make our Illinois economy stronger and more competitive, increases company profits through exports, and sustains and creates new jobs. Since its inception in 2013, the International Trade Center has assisted 78 clients, held 20 export training workshops, seminars and events with 415 attendees, and increased export sales by $54 million. Additionally, 19 clients have benefited from the Illinois State Trade Export Promotion Program (ISTEP), receiving nearly $80,000 in foreign travel reimbursement. EP Purification, a Champaign company that manufactures innovative and environmentally sound systems for the purification of water and air, was awarded the New Exporter Award. Dr. Sung-Jin Park, co-founder and CTO, was in attendance to accept the award. The New Exporter Award highlights companies that have begun exporting products or services within the last three years. Illinois’ export industry helps create high paying jobs here at home and contributes millions to the state’s economy. The State of Illinois is the number one exporting state in the Midwest and fifth in the United States. Last year alone, $65 billion worth of Illinois manufactured products were sold all around the world. Illinois’ exporting growth outpaced the national average by nearly 31 percent. The Illinois Small Business Development Center at Champaign County EDC is part of America’s Small Business Development Center Network, the most comprehensive small business assistance network in the United States, and provides information, confidential business guidance, training and other resources to startup and existing small businesses. 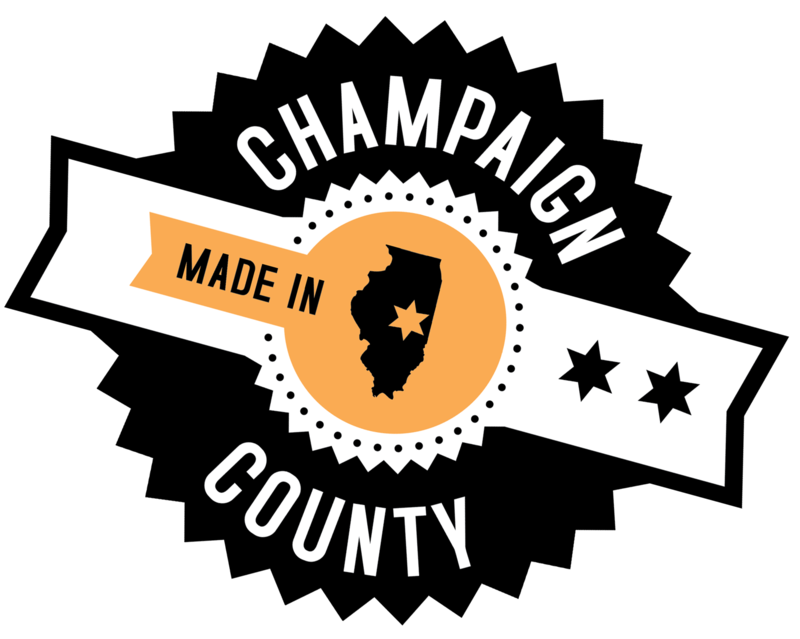 The Illinois Small Business Development Center at Champaign County EDC is funded through a cooperative agreement between the U.S. Small Business Administration, Illinois Department of Commerce, and the Champaign County Economic Development Corporation; with additional support provided by EDC of Decatur and Macon County and the Midwest Inland Port. Learn more at http://www.cusbdc.org/.